The PXiBT100.2 Stereo Amplified Controller With Bluetooth is the only solution you need for sound in your ride. No radio necessary. Whether it’s a motorcycle, side-by-sides, ATV or even a classic car, this weatherproof amp delivers the power you need, on or off the road. A 24dB selectable crossover with 24dB subsonic filter, made to craft your sound to exacting standards. The Bluetooth receiver allows you to stream music right to the amplifier, while the illuminated display allows you to change track, volume and source. 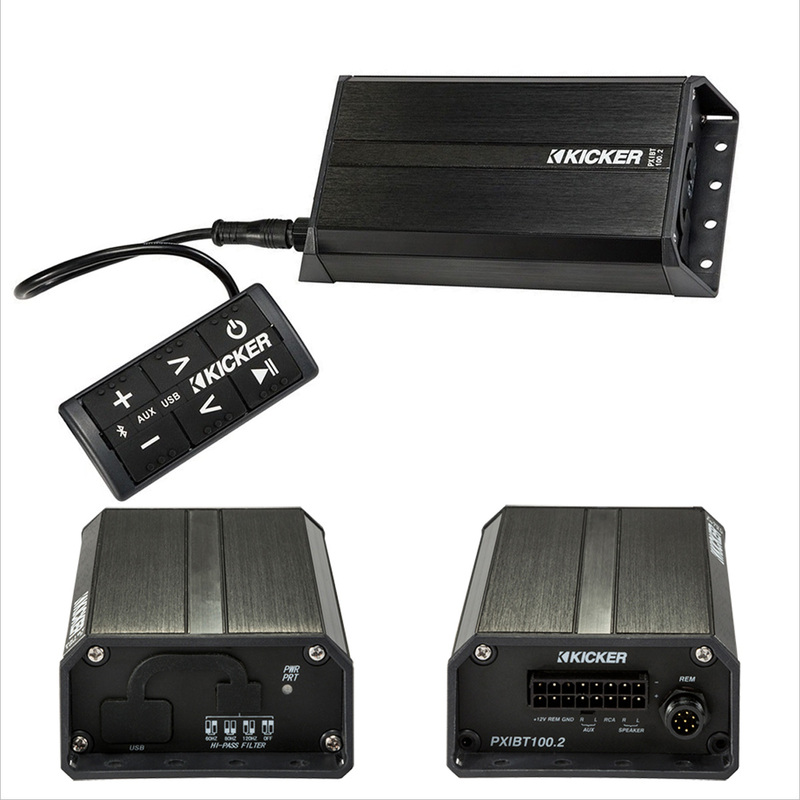 A wide range of input levels make this amp easy to hook up with a factory radio or aftermarket. This PXA amplifier delivers as much as 100 total watts into two channels. See below for more details. Dimensions (WxLxH): 3-7/16" x 7" x 1-5/8"